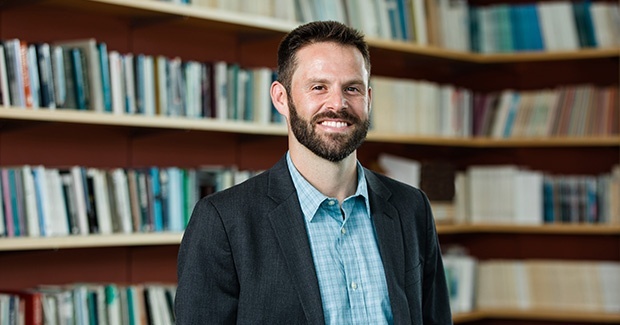 Monopolies of Violence: Criminal Governance in Rio de Janeiro recently received the Ronald H. Coase Dissertation Award from the Society of Institutional and Organizational Economics. For more than three decades, drug trafficking gangs in Rio de Janeiro have monopolized violence in hundreds of favelas (impoverished informal neighborhoods) across the city's sprawling urban terrain. They have also replaced state authority with governance forms of their own. In some favelas, gangs have provided responsive systems of law and justice, allowed for democratic practices, and maintained a high degree of social order while, in others, they have implemented more coercive and unresponsive governing institutions. Barnes' dissertation seeks to account for this variation. Based on three years of fieldwork in Rio de Janeiro, the dissertation's central argument is that local security environments determine these governance outcomes as gangs face two primary threats to their territorial control: competition from rivals and enforcement by the state. Barnes argues that these two types of threat impact gang governance strategies in divergent ways by incentivizing them to use greater degrees of violence and coercion in the case of rival criminal threat and to develop closer ties to the local population when they face significant police enforcement. One of the primary reasons for the divergence in gang response to these two security threats is that high levels of police enforcement, unlike rival criminal threat, offers residents greater opportunities to denounce local gang members. To avoid denunciation and subsequent police enforcement, gangs seek higher levels of public support by implementing more responsive and beneficial forms of governance. The dissertation employs a mixed-method research design to develop and test this theory. Barnes conducted 18 months of ethnographic fieldwork in three separate gang territories, which included participant observation, archival research, and 175 semi-structured interviews with current and former gang members, NGO workers, local politicians, and long-time residents. In addition, a longitudinal dataset of anonymous gang denunciations provides a further test of the theory and a glimpse into how residents respond to gang governance strategies.